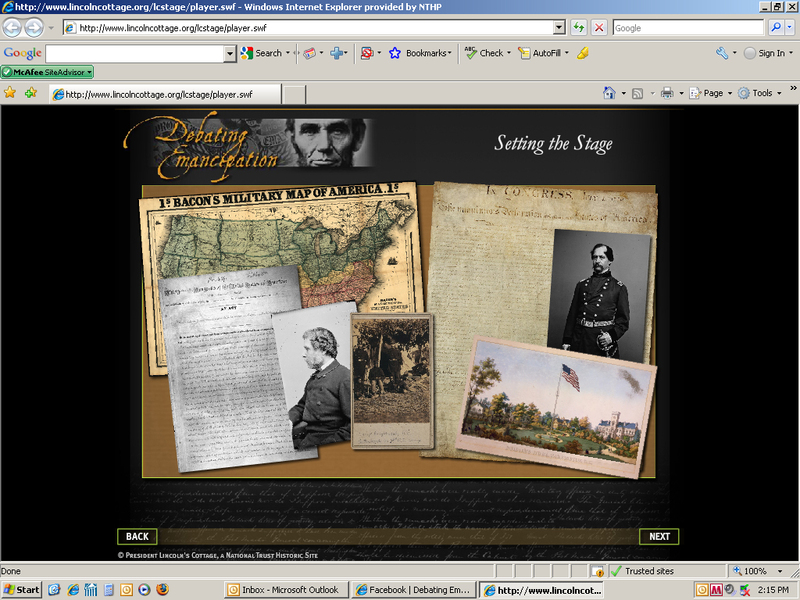 The award winning “Debating Emancipation” interactive program, available in the Visitor Education Center at President Lincoln’s Cottage, is being adapted for online use and will soon be available on our website. During this editing and testing phase we want to know what you think. All of your comments, questions and suggestions will help us to create a flawless program for schools, groups and individuals worldwide! To provide feedback, comments, and questions please email our Programs Coordinator, Michelle Martz, at MMartz@LincolnCottage.org.